Master degree in Agriculture/ Horticulture/ Vegetable Science/ Plant Biotechnology/ Plant Breeding and Genetics/ Life Sciences with specialization in Plant Breeding or Vegetable Science or Vegetable Breeding or Plant Biotechnology/ Plant breeding and /or Genetics/ with 4 years/5 years of Bachelor’s degree. Or Candidate having post graduate degree in Basic Science with 3 years Bachelor’s degree and 2 years Master’s degree should have qualified NET as per ICAR No. Edn/6/27/2014/HRD dated 13th July, 2015 and Agrl. Edn./6/27/2014-HRD dated October 9, 2015. 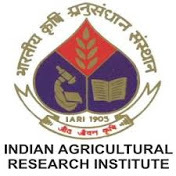 Master degree in Agriculture/ Plant Biotechnology/ Plant Breeding and Genetics /Life Sciences with Specialisation in Plant Biotechnology/Genetics/Plant Breeding with 4 years / 5 years of Bachelor’s degree Or Candidates having Master’s degree in basic sciences with 3 years Bachelor’s degree and two years Master’s degree should have NET qualification as per ICAR No. Edn/6/27/2014/HRD dated 13th July, 2015 and Agrl. Edn./6/27/2014-HRD dated October 9, 2015.